The Battle of Chickamauga, one of the most important of the American Civil War, was fought on Sept. 18, 19 and 20 of 1863. On the 19th, the fighting became particularly intense on the southern end of the engagement in the fields of the Viniard farm. Battle lines surged back and forth across LaFayette Road. The Federals occupied the area west of the road, the Confederates on ground east of the road. Late in the afternoon, the Rebels pushed the Federals back to the woods bordering the western fringe of the Viniard field. Union soldiers began to reform in the forest behind Col. John T. Wilder's Lightening Brigade, whose Spencer repeating rifles made it a formidable force. Wilder's withering fire stopped the Confederate advance. Gen. Henry Benning's brigade led the Rebel forces. The intense Federal fire forced Benning's troops to seek shelter in a ditch that ran parallel to Wilder's line. Once in the ditch the Confederates were fairly well protected from Wilder's fire, but they couldn't move forward. The stalemate between Wilder and Benning persisted briefly until Wilder ordered his attached artillery battery under command of Capt. Eli Lilly to move two of its cannons north to align them so that they could fire their deadly canister directly down the line of the ditch. Benning's men held for a bit, but the slaughter was too great. The surviving Confederates fled east, back across the LaFayette Road. After the battle, Wilder said that it almost seemed a pity to kill men in such hideous fashion. The deadly ditch affair wasn't the only harm that Lilly and his artillery did to the Confederates around Chattanooga. A month before on Aug. 21, Lilly set up his cannons north of the Tennessee River and shelled downtown Chattanooga, discombobulating a Sunday service at First Presbyterian Church. On Sept. 18, the day before the deadly ditch, Lilly's cannons and Wilder's troops prevented the Confederates in Gen. W.H.T. Walker's division from crossing Chickamauga Creek over Alexander's Bridge. Lilly's three-year enlistment expired in 1864, and he resigned his commission. 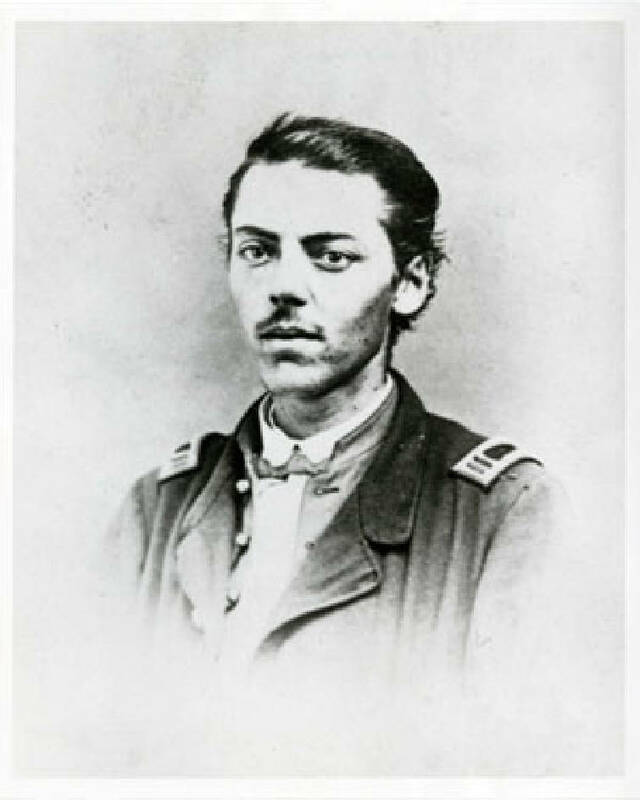 He later re-enlisted in the 9th Indiana Cavalry where he was ultimately promoted to lieutenant colonel. His cavalry assignment took him south. There he ran afoul of the troops of Gen. Nathan Bedford Forest at the Battle of Sulfur Creek Trestle, near Athens, Ala. He was captured and taken to a prison-of-war camp in Enterprise, Miss. While a prisoner Lilly had the unusual experience of being armed by the commander to help guard the Mississippi camp against guerrilla forces from the Free State of Jones, an unlikely band of poor white Southern farmers and runaway slaves who stood against slavery. In January 1865, Lilly was released in a prisoner exchange and finished the war stationed at Vicksburg, Miss. After the war, Lilly tried his hand at farming in Mississippi. When that failed, he returned to Indiana to work in the wholesale drug business and then to Illinois to open a successful drugstore. He soon saw that his chief interest was in medicinal manufacturing. In 1876, he opened his own drug plant in Indianapolis, Ind., where he focused on producing high quality products. At the time there was a boom in patent medicines, i.e., the so-called miracle elixirs. In fact, this era saw the birth of Coca-Cola, which was initially introduced as a tonic. Lilly's drugs were made as specific medications. One of his first successes came from mass producing quinine, a proven treatment against malaria. His company also developed gelatin capsules allowing medications to be dispensed in specific doses and figured out how to sugar coat and flavor pills and capsules. By 1890, Lilly was a multimillionaire, and his drug company was one of the world's largest. At that point, he stepped away from the day-to-day management of the company and devoted his time to philanthropic enterprises. Lilly raised money for the Indiana Soldiers' and Sailors' Monument, which was completed in 1901, three years after his death. Lilly's company continued to grow and became one of the pioneers in the development of insulin. During World War II, the company mass produced penicillin, which had been discovered in England in 1928. Today's Eli Lilly and Co. is one of the world's pre-eminent pharmaceutical companies and a large charitable benefactor.